Beautiful sky and a thin layer of snow, the show adds to our emotions this morning. Happy being aboard Vagabond. Nice to be inside again. Impression of never having left our little cocoon... 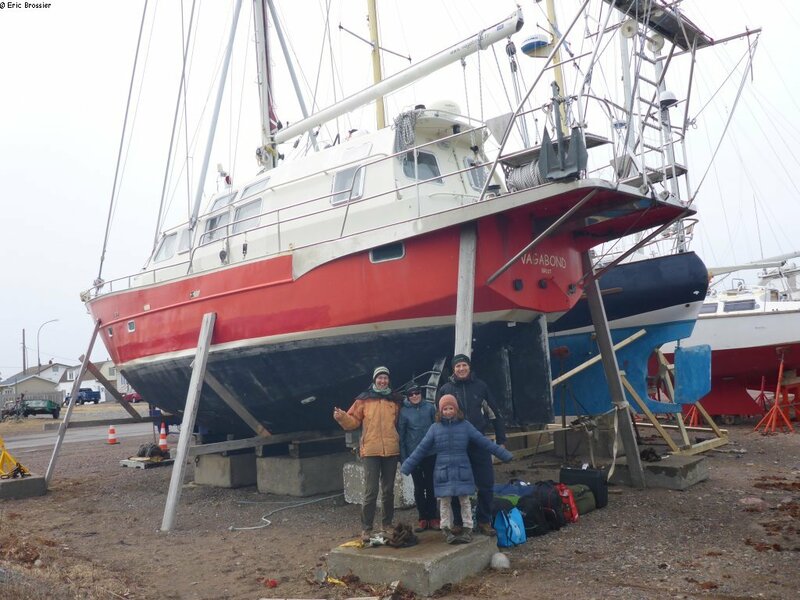 Nevertheless, since our last navigation, we did live for 17 months in Ecuador! Aurore and Leonie are already at Miquelon's school-college; warmly welcomed, they are quickly making friends. There are about 80 students in the establishment and they have known each other forever, so welcoming two new students is an event. 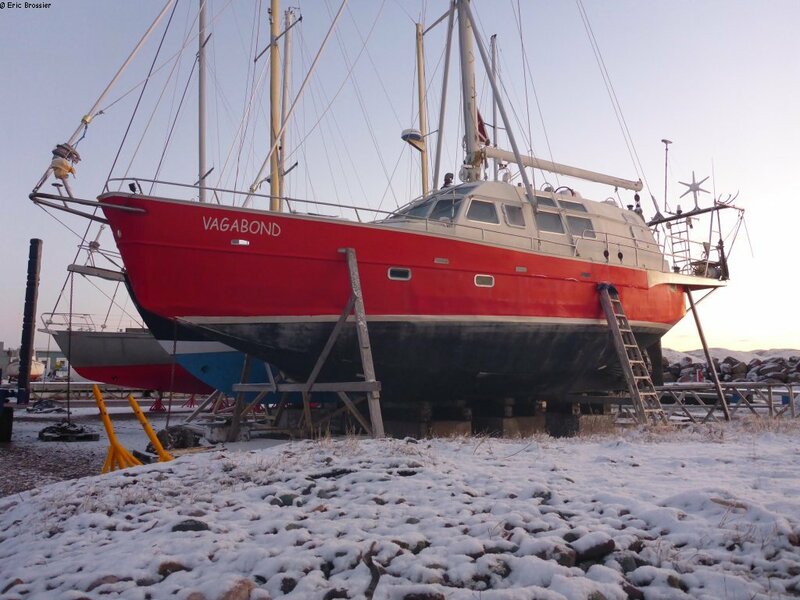 Vagabond is scheduled to be launched on Friday, April 19th, as it requires a high tide coefficient. In the meantime, the maintenance of the hull is our priority. A few days ago ended our three and a half months stay in France: after our mission in Ecuador and before the next mission with Vagabond, it was a pleasure to see our families, our friends, our partners, and participate in some festivals and meetings (look at the online news). In transit in Quebec, it was also a nice reunion with friends and colleagues, and with the snow! Small storm for two days, surprising winter conditions in April. Luckily, yesterday the sky was clear and the Pilatus flight memorable to Miquelon, via Saint-Pierre for French entry formalities. Thanks to the miquelonais, that same night we were warm on board Vagabond with all our luggage. Incredible.